Raja Sekhar Upputuri co-founded think3D with classmate Prudhvi Reddy in 2014. They now have a full-service 3D printing firm that sells hardware, is a 3D printing service bureau, offers 3D scanning services and does 3D printing design services. The company is a one-stop shop for Indian firms who wish to enter the 3D printing market. 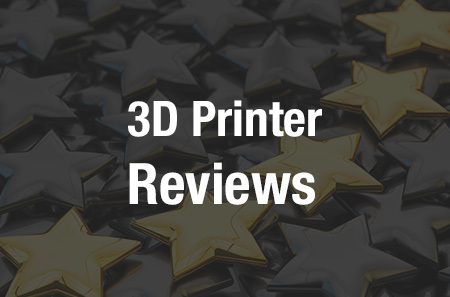 In many other cases, resellers and 3D printing services are very separate affairs and many 3D printing services don’t offer scanning or design services. With their one-stop-shop approach think3D is trying to position itself as the one sole 3D printing partner for manufacturing, automotive and medical companies in the region. We reported previously how the company received $6 million USD from the province of Andhra Pradesh to set up a 3D Printing and Design Facility in Vizag. This center is part of a medical device park and the focus is on using 3D printing for medical applications. We also wrote their project with India’s Devnar Foundation for the Blind, their help with developing metal 3D printer, and their mobile app for Android. We’re very excited about the potential of 3D printing in India. Traditionally idea has been strong in software and services while China has been paramount in manufacturing. When these three things collide in 3D printing can Indian firms stave off Chinese competition through software and services prowess? Or will China’s hardware expertise be the deciding factor? Perhaps Indian firms can grow to be global leaders in 3D printing services? Or India could remain a regional market alone? We’re very excited by the market developments in the country and reached out to think3D to get their perspective on 3D printing in India. What is the 3D printing market in India like? India got onto 3D Printing bandwagon bit late when compared to various other countries and the industry is still at its infancy in India. But the future looks very bright for 3D Printing in India. The reasons for this are two fold. One, with massive investments happening in infrastructure in India and with China becoming expensive for manufacturing, manufacturing for exports are slowly shifting to India from China. This shall open up a big market for 3D Printing in India. Secondly, multinational corporations have realized that global innovation won’t suit for solving local problems and they need local innovation teams sitting in that specific region for the same. With India offering such huge domestic market, it becomes justifiable for these companies to invest in such local R&D set-ups. This will also create a massive market for 3D Printing in India. What is being done to stimulate 3D printing in India? School Level: The Government has launched ATL (Atal Tinkering Labs) scheme wherein the government gives funds to selected schools to set up 3D Printing & Robotics labs. Various schools in India are now equipped with desktop 3D Printers and school kids are using those machines for better understanding of the concepts they learn in the class. University Level: Multiple schemes are available across multiple ministries to promote high-quality technical education in the universities. Universities are ranked according to their performance and well-ranked universities are given funds to promote research work. As 3D Printing is industry agnostic, funds from various departments like health, biotechnology, science, electronics are all getting channelled to the 3D Printing industry. Enterprise Level: To promote local manufacturing in India under the “MAKE IN INDIA” scheme, the government is setting up various industrial clusters across India. In many such clusters, the government is investing in a few common scientific facilities to make these clusters attractive for potential manufacturers and to reduce the cost of manufacturing in these clusters. 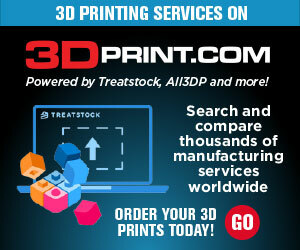 3D Printing is identified as one such common scientific facility. Our facility is under this scheme. The government identifies a qualified service provider through the tendering process and co-invests in the facility along with the service provider. What industries are interested in promoting it? The Automotive, Medical (Dental), Aerospace, Defence, Jewelry and Manufacturing industries are those who are actively participating in 3D Printing. While 3D Printing has long been used in the Automotive and Aerospace industries; in the last 2 years, we are seeing a major market getting opened up in dental and jewelry industry. DMLS 3D Printing of dental crowns has become common practice. the Jewelry industry is also quickly adapting to 3D Printed molds. What will you spend the six million on? This six million dollar is to be invested over multiple phases in a span of 5 years. In the first phase we invested around USD 2 million. The first phase agenda is to build a technology experience center to serve dual purposes of serving customer 3D Printing needs and showcasing various 3D Printing technologies and applications to local industry & academia. So, we had set up a holistic 3D Printing center with the entire gamut of technologies namely FDM, SLA/DLP, SLS, PJP, CJP, MJP, MJF, DMLS, Bio 3D Printing, Electronics 3D Printing and Paste Extrusion. We also invested in subtractive manufacturing technologies such as CNC, EDM and molding technologies like Vacuum Casting & Injection Molding. In the second phase, we shall invest more on technologies for which there is demand in commercial applications. What technologies are you focusing on? Our major focus will be primarily on DMLS, SLS, CNC and Vacuum Casting. India is importing 70% of all medical devices used in hospitals and diagnostic centers in India. This is leading to a huge loss to foreign exchange, lack of local employment and contributing to the high cost of healthcare in India. To solve these three major problems and provide affordable health care to masses, the government of India has identified medical device manufacturing as one priority sector to focus on under the “MAKE IN INDIA” initiative. The provincial government of Andhra Pradesh has taken lead on this initiative and has set up India’s first dedicated medical device manufacturing park called AMTZ (AP MedTech Zone). This park has a complete ecosystem to promote local manufacturing of medical devices in India and also promote low cost innovation in medical device space. Low cost innovation in healthcare delivery has been identified as an activity of national importance and many startups mushroomed around this concept. Our facility shall be offering services to all these innovators. What materials do you find interesting for medical devices? One fundamental material requirement in medical devices is usage of medical grade / biocompatible materials for areas that come in contact with the human body. Secondly, we find that major innovation is happening around non-invasive diagnosis such wearable devices. So, there is an increased demand for rubber like medical grade materials used in PJP technology. Titanium is also in demand for custom implants. PEEK is another material for which there is lot of requirement in medical space. If I were a firm interested in using 3D printing what advice would you give me? Many people have this impression that with 3D Printing we can solve any manufacturing problem. Nothing is farther from the truth than this. 3D Printing is one of the various manufacturing techniques available in the market. The way to choose a technology is through a combination of a problem statement, technological capabilities, costing and resource availability. My advice is to evaluate 3D Printing and go for it when it is proven to be the most optimal choice for firm’s problem statement. Another point to note here is that with slight design changes 3D Printing can provide a much better solution at lower cost than other manufacturing techniques. So, firms should be open towards engaging AM Design consultants and see if they can get better solution through 3D Printing. How will you partner with and educate people? Training human resources on Additive Manufacturing is another major mandate given to us by government. We are partnering with various governmental agencies like APIS (Andhra Pradesh Innovation Society), APSSDC (Andhra Pradesh Skill Development Corporation), CII (Confederation Of Indian Industries) to conduct regular workshops on 3D Printing. We have also been conducting regular free workshops across all metro cities in India over the last few years to bring awareness on this technology.